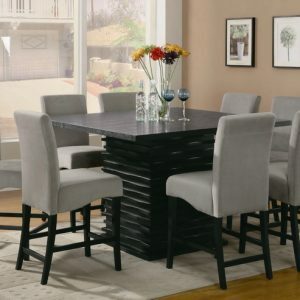 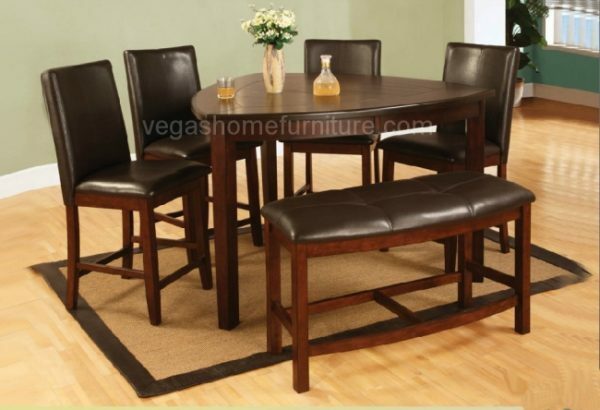 New amazing triangle shape counter height dining table in a dark brown finish. 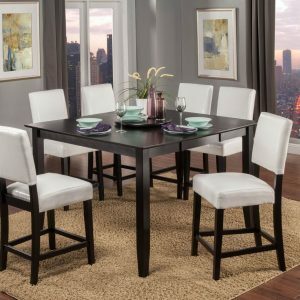 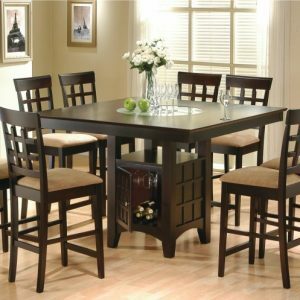 This unique dining pub table set includes counter height table, four chairs and a bench. 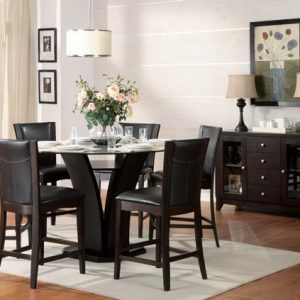 Chairs come in espresso color leatherette cushions on chairs and bench.